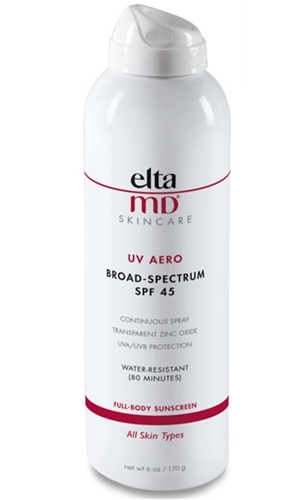 This is a broad-spectrum SPF 45 that shields from the harmful effects of the sun. It contains zinc oxide that provides protection from UVA and UVB rays. This spray goes on white and dries clear.